Kamala Harris, a first-term U.S. senator and former California attorney general known for her rigorous questioning of President Donald Trump's nominees, on Monday entered the Democratic presidential race. Vowing to "bring our voices together," Harris aims to become the first woman and the second African-American to hold the presidency. Harris, a daughter of immigrant parents who grew up in Oakland, Calif., is one of the earliest high-profile Democrats to join what is expected to be a crowded field. She made her long anticipated announcement on ABC's Good Morning America. The 54-year-old portrayed herself as a fighter for justice, decency and equality in a video distributed by her campaign as she announced her bid. "They're the values we as Americans cherish, and they're all on the line now," Harris says in the video. "The future of our country depends on you and millions of others lifting our voices to fight for our American values." Harris launched her presidential bid the same day the country observes what would have been the 90th birthday of slain civil rights leader Martin Luther King Jr. The timing was a clear signal that the California lawmaker — who has joked she had a "stroller's-eye view" of the civil rights movement because her parents wheeled her and her sister Maya to protests — sees herself as another leader in that fight. Harris abandoned the formality of launching an exploratory committee, instead going all in on a presidential bid. She plans a formal campaign launch in Oakland on Jan. 27. The campaign will be based in Baltimore, Md., with a second office in Oakland. She joins what is expected to be a wide open race for the Democratic presidential nomination. There's no apparent front-runner at this early stage and Harris will face off against several Senate colleagues. 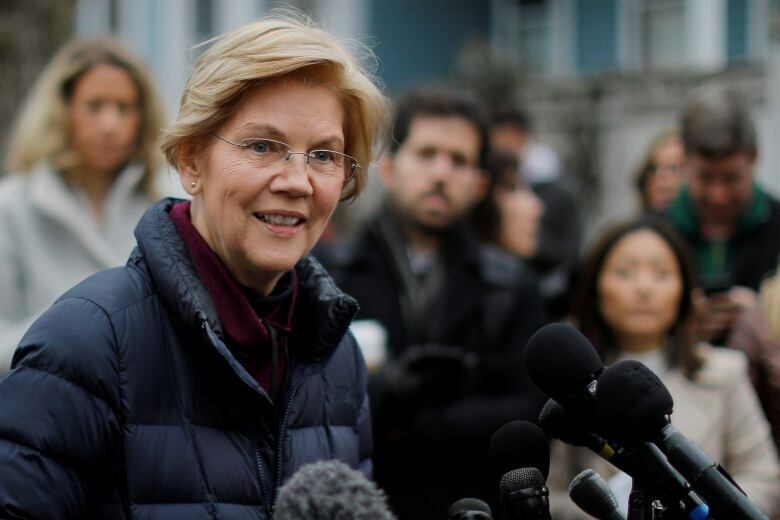 Senators Elizabeth Warren of Massachusetts and Kirsten Gillibrand of New York have launched exploratory committees. Senators Cory Booker of New Jersey, Sherrod Brown of Ohio and Amy Klobuchar of Minnesota are also looking at the race. 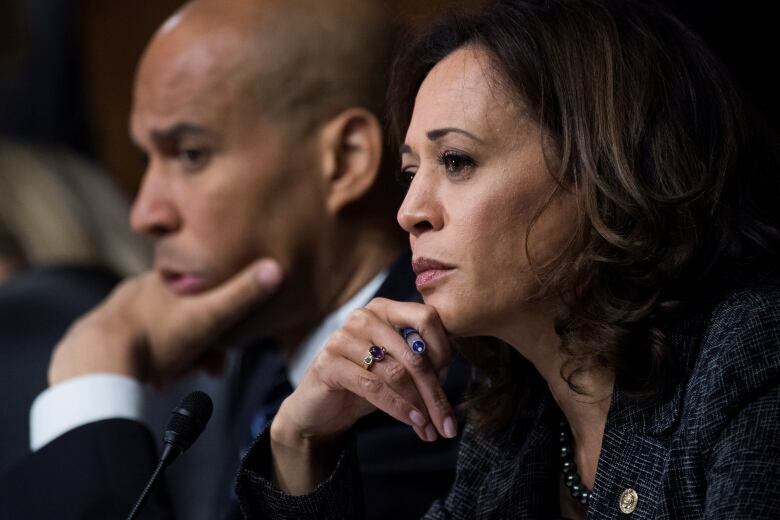 If Booker enters, he and Harris could face a fierce competition for support from black voters. Sen. Bernie Sanders, who's from Vermont and unsuccessfully sought the 2016 Democratic nomination, is also considering a campaign. Several other Democrats have already declared their intentions, including former Maryland Rep. John Delaney and former Obama administration housing chief Julian Castro. Harris launches her campaign fresh off of a tour to promote her latest memoir, The Truths We Hold, which was widely seen as setting the stage for a presidential bid. Harris is already planning her first trip to an early primary state as a declared candidate. On Friday, she will travel to South Carolina, where black voters make up a large share of the Democratic electorate. The state is likely to figure heavily into Harris's prospects. And early voting in Harris's home state of California will overlap with the traditional early nominating contests, which could give Harris a boost. Harris's campaign team is already taking shape and includes several veterans of Democratic politics. Several former top Hillary Clinton campaign advisers will be among her staff. Harris's staff says she plans to reject the assistance of a super PAC, as well as corporate PAC money. She's invested heavily in cultivating a digital, small-dollar donor network before her presidential bid. Harris is likely to face questions about her law enforcement record, particularly after the Black Lives Matter movement and activists across the country pushed for a criminal justice overhaul. Harris's prosecutorial record has recently come under new scrutiny after a blistering opinion piece in the New York Times criticized her repeated claim that she was a "progressive prosecutor" who was focused on changing a broken criminal justice system from within.